LESSOFMOORE is a SparkPeople Motivator! By way of introduction, I am a 62-year-old married mom of one ( a 35-year-old daughter). I am working to make my sixties spectacular with Spark People. I intend to reach my goal weight by the end of 2019. I work out with Jessica Smith TV and wear a Garmin Vivofit. I live in South Bend, Indiana. 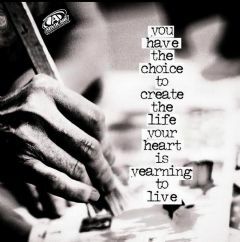 Every ending is part of a new dawning, a blank page just waiting for you to put your own special stamp on it! 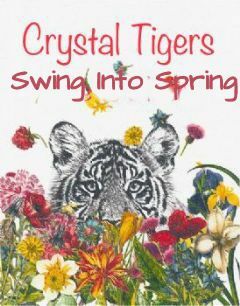 Cyndie, Crystal Tigers, Swing Into Spring, Eastern Time Zone "Eating crappy food is not a reward-it's a punishment. "-Drew Carey I will do what I need to do, in order to be who I want to be. Eat a little bit and quit! for the encouragement on my blog! I will get there! Have a good Sunday! Can't wait for GH this week! Yes, too cool seeing Nora Buchanan on GH! She talked about Her son being engaged...Matthew right? I think I remember Destiny...I don't remember them being an item? She hasn't aged a bit! Want Bo in there with her. Thank you, I appreciate it. Glad you called ABC. Do you watch GH? Its been really good lately. Although some stories are not my fave, but won't give up on it. They just celebrated their 56th anniversary on April 7. Come play bingo with us. The bingo is fun and a challenge. Come Play!